Home / Microsoft / Windows 8 / Time to upgrade to Windows 8? 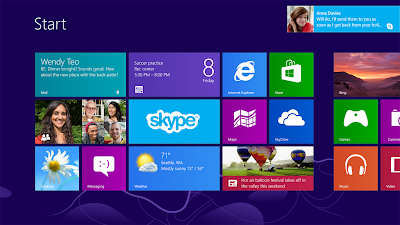 Microsoft recently unveiled Windows 8, the latest iteration of the world's most-used operating system. It's very different from desktop OSes as we know them: It's touch-friendly, and suitable for a new range of tablet PCs. The free-to-try Consumer Preview has given us a taste of what to expect from the retail version. Here's what to consider if you're thinking of upgrading your PC to Windows 8. Current OS: If you have an older OS like Windows Vista or XP, the upgrade might be worth it. XP users should consider that their OS will find it hard to keep up with the latest technologies. Vista users will see the value of the speed boost in everything Windows 8 — from boot-up time to running applications. Windows 7 users might do better sticking with their trusty OS; they'll derive the least advantage from an upgrade. Current hardware: Windows 8 has the same hardware requirements as Windows 7. If your PC runs Windows 7 well, you shouldn't have a problem upgrading. It's also very likely that all your current hardware will be compatible, and you won't need to install new drivers. But do check for the compatibility and availability of Windows 8 drivers for your hardware from the manufacturer's website before upgrading. Apps: If you use your smartphone more for the apps than for phone calls, Windows 8 will be appealing. Apps add functionality to the OS, just like programs do on a desktop or laptop. The difference here is that you can install them from a single Windows Store, rather than having to hunt for them all over the Net. Also, smartphone apps take advantage of the new UI, and will be better integrated with the OS. Windows Store is still lacking when it comes to sheer number of apps, and may not appear attractive right now. But with Windows 8 having been launched, we can expect a surge of apps over the coming few months. Modern UI: This will appeal more to smartphone users, more so to owners of Windows Phone devices. The tile-based UI is new to desktop computers, and actually makes sense if you happen to have a touchscreen. For a desktop user who wants to upgrade, the Modern UI will not be much use. It might actually be an irritant, because you will most likely switch to desktop mode immediately after logging in. After that, the UI is just like one element added to your familiar desktop OS. Learning curve: Apart from Modern UI, Windows 8 is very similar to earlier versions. You'll take some time to get used to Windows 8 only if you will use Modern UI — and that, because it's visual, is easier to master than a traditional desktop interface. Cloud integration: Microsoft's SkyDrive cloud service is tightly integrated with Windows 8. Almost every application installed on the OS takes advantage of SkyDrive. Its availability from other platforms (such as Windows Phone) allows files shared from one platform to be accessed from another, which makes it even more versatile. Version of Windows 8: Windows 8 Pro, aimed at power users, is the only version currently available. It will have some features (Remote Desktop server, Encrypting File System, Hyper-V, and Virtual Hard Disk Booting) which may not really be of use to a home user; these will be omitted in the basic version. 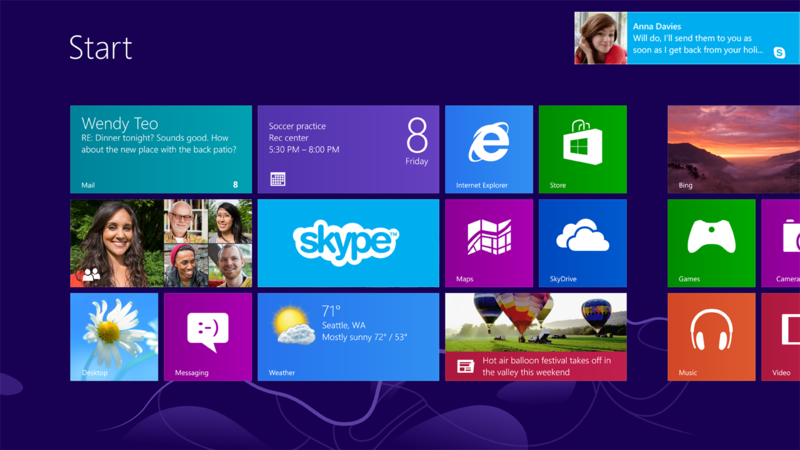 However, the basic version — known simply as Windows 8 — will be available only next year. Windows RT is yet another version; it will only come pre-installed on ARM-based devices (such as tablet PCs). Upgrade pricing: The upgrade offer from Microsoft is enticing. You pay just Rs 700 if you bought (or will buy) a Windows 7 PC between 2nd June 2012 and 31st January 2013. If you have an older version of Windows, you pay Rs 2000 to upgrade. Considering that the retail version will cost more than Rs 11,000, this is a good time to upgrade!